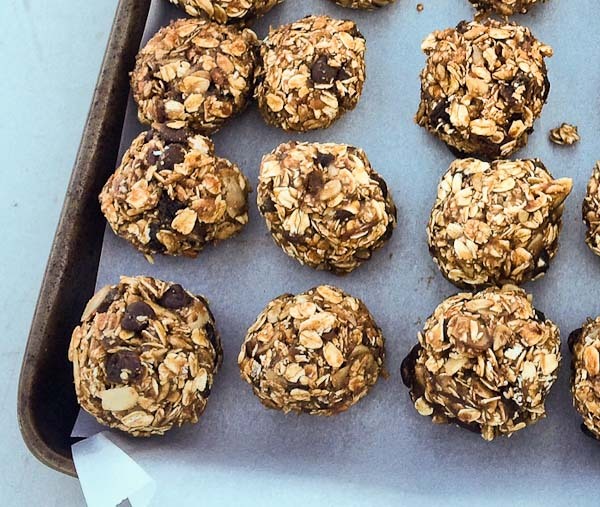 These Bees Knees Energy Bites are the perfect post workout snack or mid day pick me up. Real fuel matters. Hey! 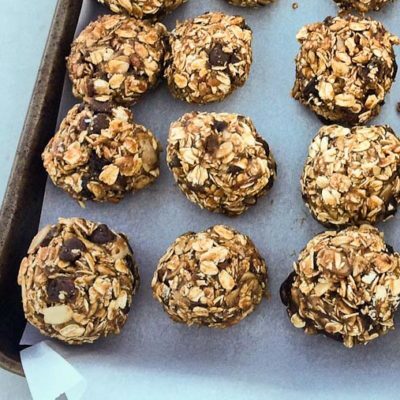 I just wanted to stop in really quick because I know I promised you this energy bites recipe that my intern Lindsay and I created for Softball at UCF a couple weeks ago. They were a big hit (look what I did there) with the team, and they were so appreciative of us passing out the snacks and educating them on the benefits of eating an energy rich snack post workout. I enjoy spending time with athletes and helping them to understand that “real fuel” as I call it or real food is their best option over supplements and powders. It’s times like this when they get it that makes the job super worthwhile. When they start to ask questions you know that they are learning to trust you and accept your skill in helping them become better athletes. Like yesterday when several of our players discovered the tart cherry juice in the fridge and they ask why it would benefit them to drink it. After explaining that they should drink 2–8 ounce juices per day for optimal antioxidant recovery benefits, they reach back in the fridge to grab a second. That’s when you know you’ve made an impact. And that is why I love what I do. Real fuel, real impact. Hope you enjoy these Bees Knees Energy Bites! The Bees Knees Energy Bites are the perfect post workout snack or mid day pick me up. Real fuel matters. Place dates in small bowl and cover with water. Microwave on high for 2 minutes. Remove dates from microwave and place in blender. Blend until smooth. Add peanut butter and honey to the blender and blend with the dates. In a large bowl, combine oats, dried fruit, nuts, salt and date puree. Use your hands if you have to (coat them in cooking spray first) to really get everything mixed together. The oats will absorb the dates and nut butter mixture you just have to work it. 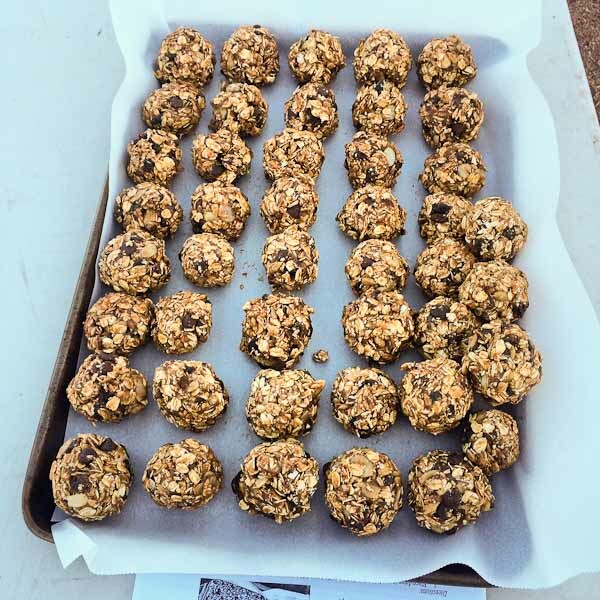 Line baking sheet with parchment paper and roll mixture into uniform balls. I love the natural sweetness of dates! These sound amazing! I’m learning how versatile they are!! Added them to a dressing the other day. Ahhmazing! Pinned! Yummy snack for sure!